Until about a year ago, I was one of many who was unconvinced that medical practices would change the way they communicate with patients. However, the wheels started turning when I witnessed a friend I was having lunch with schedule his dental appointment via text messaging. It was then that I realized it was only a matter of time before medical practices shifted to text and/or chat as one of the primary methods of communication with patients. Not only can texting save time when it comes to provider-patient conversations that don’t require significant explanations or communication (e.g., appointment confirmations, post-operative check-ins), but more importantly, texting is patients’ natural and desired method for communicating with their healthcare providers and staff. At the end of the day, patients want the highest quality of care and access to care—and ultimately, a partnership with their providers. And texting is a great way to improve both quality of care and access to care, in addition to nurturing a healthy doctor-patient relationship. Let’s take a look at some of the reasons for and implications of patients’ preference for texting. Over the years, texting has become one of the most popular forms of communication—among all generations, not just the younger demographics. What started as short, limited-character responses to friends and family more than two decades ago is now a way to also reach mass volumes of people at one time—or even schedule or cancel medical and dental appointments. Texting has come a long way, to say the least. It offers convenience that no other communication method can. It’s many patients’ generally preferred communication method. 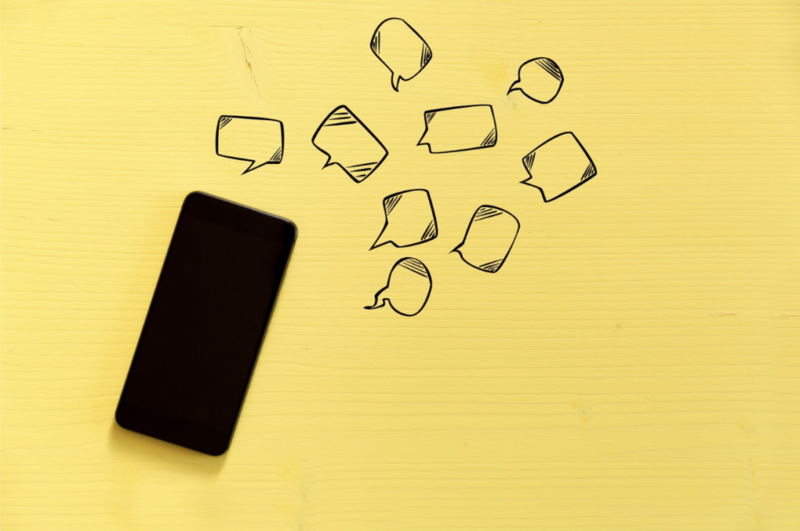 Text messaging is steadily growing in popularity, and it’s the primary method that patients use to communicate with their friends, family, colleagues, and others for tasks and/or things that don’t require in-depth conversations. Patients can message on their terms and based on their schedule. Patients can send your office a message whenever—they don’t have to wait for your office to open or hope someone listens to the answering machine. Texting gives patients the freedom to have a conversation or schedule an appointment while doing other things. With text messaging, patients can, for example, schedule an appointment during a meeting or at lunch, without interrupting what they’re doing to take care of it. Patients don’t have to wait to speak to someone. This means no more missing phone calls, waiting on hold, playing phone tag, or leaving messages back and forth. We’re all in the healthcare industry for one reason: to impact patients’ lives. Everything we do is centered around benefiting patients. So it makes sense, then, to use the communication method they prefer and find beneficial to cultivating a relationship with your office. It’s a sure way to boost patient engagement, satisfaction, and ultimately, care. But patients aren’t the only ones who prefer—or benefit from—texting. Medical staff and providers do, too. Time savings—You don’t have to keep calling hard-to-reach patients. Effortless tracking—Texting allows your office to easily assign tasks or keep track of what was said, what was requested, and so on. Ease of use—Patients and staff alike can easily share documents, pictures, links, and other items. Happy patients—Patients prefer texting. And even though, like faxing, it is not as secure as, say, logging into a patient portal, most patients will consent to less-secure communication method because it’s simple, fast, and convenient. Just as you would before implementing any other new system, strategy, or process, be sure to thoroughly consider texting’s implications for your practice. How will you manage this new communication channel? For example, will you assign text-based communications to a dedicated team, or will you equip your front office or other staff members responsible for patient interactions with new tools? What workflows does this change? In what areas can you save your practice and staff the most amount of time using this communication method? How can your office experiment in a small way to see how receptive your patients are to this new method of communication? Where do you want to be in the adoption life cycle of this new form of communication (an innovator, early adopter, or late adopter)—and what does that mean for your practice? Does your current patient interaction system truly reach your patients? The Vital Interaction team is here to help you facilitate quality patient interactions with automated touchpoints that deliver the right information, at the right time, via two-way text messaging, email, and automated voice messages. To learn more, call (512) 487-7625 or visit our website.